Sifting through Google can be challenging, especially when a search produces hundreds of millions of results. 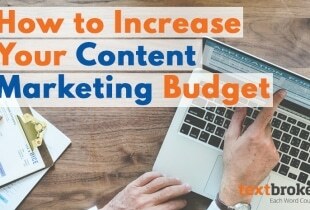 By brainstorming keywords, using a few search options and taking a moment to determine the value of a site, you will not only save yourself some time and potential aggravation, but it will also free up time for you to complete additional articles and earn more money. Keywords: The More, The Merrier! 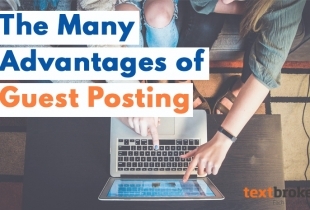 While some of these are specific, more often than not the sites talking about them will have links to different types of activities along with inspiring new things for you to search. Searching for one of these terms may lead you to a popular weekly magazine that focuses on activities in town, for example. Inserting quotation marks around a phrase will perform a search for the words you have entered in that exact order; it will return a website that has the phrase “Las Vegas Cheap Activities” but not one that only says Las Vegas Cheap Outdoor Activities somewhere on the page. site:website address Adding this before your search terms will return results from that site only. For example, vegas cheap food site:lasvegasthingstodoandeat.com will search for the words “cheap food” on the site lasvegasthingstodoandeat.com only; it will not display results from other sites. 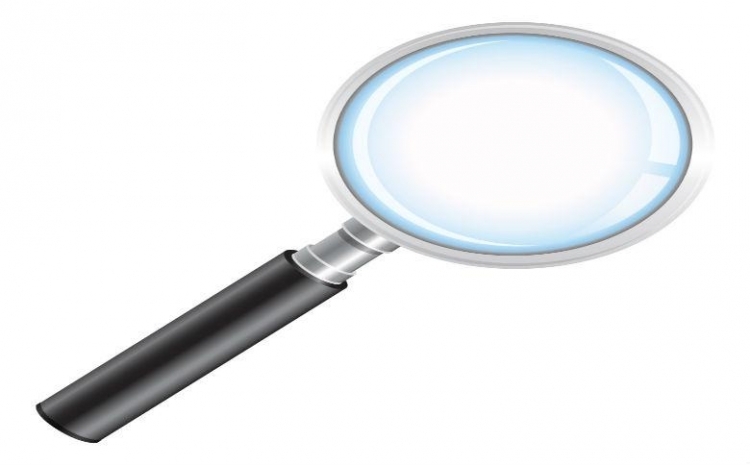 This is useful when you have found a site with a lot of information that does not have a search function of its own. Adding a minus symbol (-) before terms will remove any results that contain that word or phrase on the page. If entering las vegas restaurants -cheap as a search, none of the search results will have the word cheap somewhere on the page. This would be good for doing research on high-end cuisine. You can also combine this with the “site:” function above, so adding –site:lasvegasthingstodoandeat.com will remove results from that site and save you time if you have already visited that site and all of its pages. OR does the opposite of the minus symbol and is good for broad research into a topic. A search for las vegas restaurants cheap OR luxury will return pages that talk about bargain and/or high-end establishments. You can also use these types of searches when you are stuck finding relevant keywords or need ideas for a broad topic to make it more specific. Lastly, an asterisk at the end of the word will return results with different variations of it. 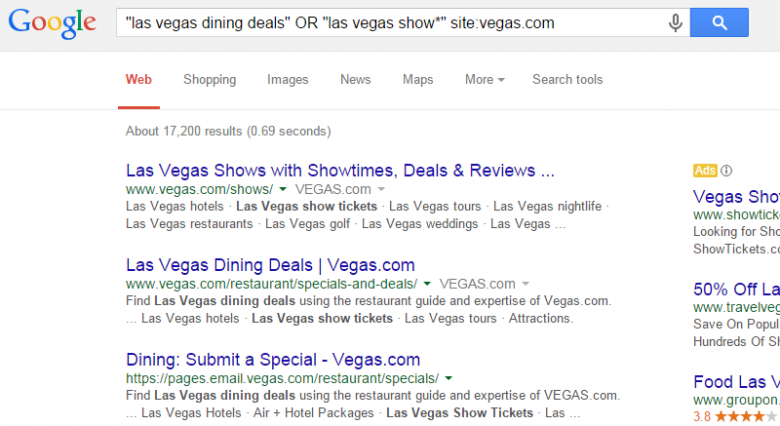 For example, a search for Las Vegas Eat* will bring back pages containing the words eat, eatery, eating or eats. Was the web page updated recently? This information is usually displayed at the very top or bottom of the page. Using the example of things to do in Las Vegas, a web page that is 5 years old may not be useful as restaurants and attractions may have moved or closed since it was written. How is the site and/or author an expert on the topic? A page about luxury restaurants on a well-known travel site will likely have more accurate information versus a blog post on an individual person’s site. Why is the information on that particular website? For example, an article on the Hoover Dam on a tour company’s website will likely contain different information versus one from the U.S. Department of the Interior or another government page. Wikipedia is a solid starting point for research on a particular topic. It can give you information on more specific areas within the topic that you may want to include in your article. However, it is important to note that Wikipedia does have some drawbacks. While the site’s editors strive to make sure all of the information is accurate, it is fairly easy for anyone, subject expert or not, to add or change facts that are simply not true. Wikipedia usually publishes such changes immediately. Instead, use the topics and information in your searches, and evaluate the sites using the above questions. The next time you have picked up an assignment on a topic you need to research, try a combination of the above tips. Find what works best for you. In a future blog post, we will review more strategies to make the research process more efficient to maximize your time. 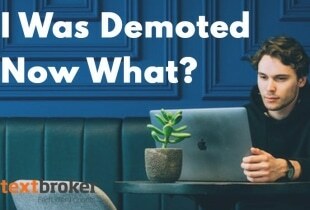 I Was Demoted – Now What? I think they mean going to the end of the list and checking the newest teams first. You don't need to go through all that. Just sort the list by date. Sorting is an option in the "Date Created" field. Look for the up and down arrows. Thanks for the cheat sheets – I'm going to summarize them and pin the results on my wall. They are informative on your style. I do agree with Plain Jane; the busy shapes and colors are distracting to me, not helpful. Am I actually the first person to say this? Do I get downgraded if I point out errors in TB's own material? If so, please read no farther. Hello, I am new here, and very, very confused. I want to try and earn some money with textbroker, I have read a ton of articles as well as watched youtube sites, and although very helpful, I am confused as to how to do research and not use the same wording! Maybe this just isn’t something for me; I love to write, I feel I am good at it, yet I am not sure how to NOT use other peoples words. I have no website, I honestly don’t even know how to use facebook (I know you are laughing, it’s fine..), and I am not exceptionally technical. Seriously, I just switched from a flip phone to a smart phone, which, by the way is much smarter than I am. So, I am looking for a little help, or maybe an example. Thank you in advance.